Styling your living room right is essential, as the living room is the first glance of your home’s design personality. In designing a living room, the furniture, its type, and placement are very important, as it does more than the mere visual appeal. The proper furniture is the vital element in the living room because after all, it is the area for lounging and entertaining guests. Though comfort is the foremost need there are other factors involved that dictate the living room furniture rules. Of the best luxury furniture in Delhi and Mumbai, Pianca India and Bonaldo India, are especially popular. Pianca India and Bonaldo India are some of the reining brands catering mostly in Italian sofas, and other Italian furniture in Mumbai, Delhi, and other cities. First, measure your living room and have the vital statistics in place! Draw an informal floor plan for your reference. Then plan how you want your furniture to be placed, keeping intact the necessary gaps and passable pathways. It is equally important to measure the doorways as fitting in the furniture through the doorway is often a task. After that create another layout plan to decide which piece of furniture will go where. Taking into context the room’s natural architecture is a necessary requirement if it has places like fire-place, stairs, slabs etc, which determines the type of furniture that could be used, whether contemporary or traditional. Will you be using the living room simply for entertaining your guests, or will it also be a family hangout area? This helps determine the nature of fabrics that could be used and the kind of furniture to be chosen, whether the furniture should be durable and sturdy or mainly for décor purpose with the needed comfort. When picking your living room furniture start from the basics. Pick the furniture that meets your requirements for the space available. Consider the essentials like a sofa, center table, side table, arm-chair etc. The other furniture can be added later. 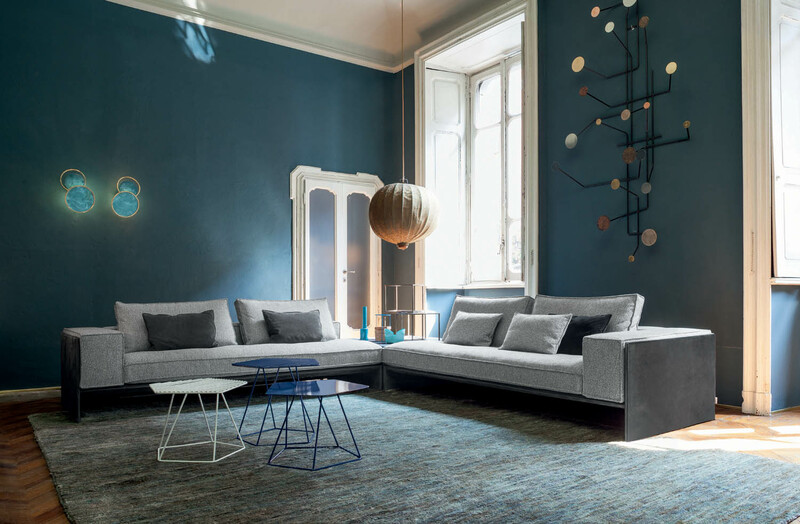 While picking the perfect Italian sofa amongst other luxury furniture in Mumbai, Delhi, and other cities, you can choose from the popular brands like Pianca India and Bonaldo India. Your living room is an investment; the idea is to buy solid pieces that last long. But it doesn’t mean that you spend a fortune on furniture, or spend too low and get cheaply made stuff. Quality is the definitely the priority when it comes to choosing the perfect furniture for your living room. Stain-Resistant fabrics can be chosen, especially microfiber and leather but not cotton. Wrapped foam cushions are known for durability. There is a need to do extensive research before buying furniture. Pianca India and Bonaldo India are known for the best quality luxury furniture in Delhi, Mumbai etc. Coordination of your living room furniture is a big factor. Each piece should complement the other. While laying the living room furniture, you need to make sure that the furniture matches or complements with the furniture in the rest of the house. It is best to stick to a theme and keep the pieces focused on it. Typical themes include modern, eclectic, contemporary, traditional, and rustic, with further sub-divisions. Modern and contemporary themes are mainly about sleek lines, lots of space, white, beige and neutral colors with a fair share of glass and metal, minimalism being dominant. The traditional theme is all elegance, formality being the underlying element. There is a predominance of deeper, rich colors and ivory. The eclectic theme is much more free-spirited with a lot of scope for experiments, and loud offbeat colors. The rustic theme is the predominance of wood, leather, stones and natural colors, with fireplaces, classic upholstery adding a rustic charm to the place. Choosing your living room furniture in consonance with the size of your living room is a necessity. It is best to give your room a filled feeling, combining seating with tables additional pieces of décor, especially while not overwhelming the scene. You can choose from the best available options for luxury furniture in Mumbai, Delhi, etc, catered by popular brands like Pianca India and Bonaldo India.